Your key to unlock unlimited summer exploration. The Ultimate Adventure Pass and Pioneer pack are perfect for adventure at Breck’s Epic Discovery, runs on the Gold Runner Coaster or Alpine Slide or the freedom to choose what activities to partake in. Make the most of your summer adventure and explore both Peak 8 Base Camp & Alpine Camp. The Ultimate Adventure Pass includes access to the activities listed below. 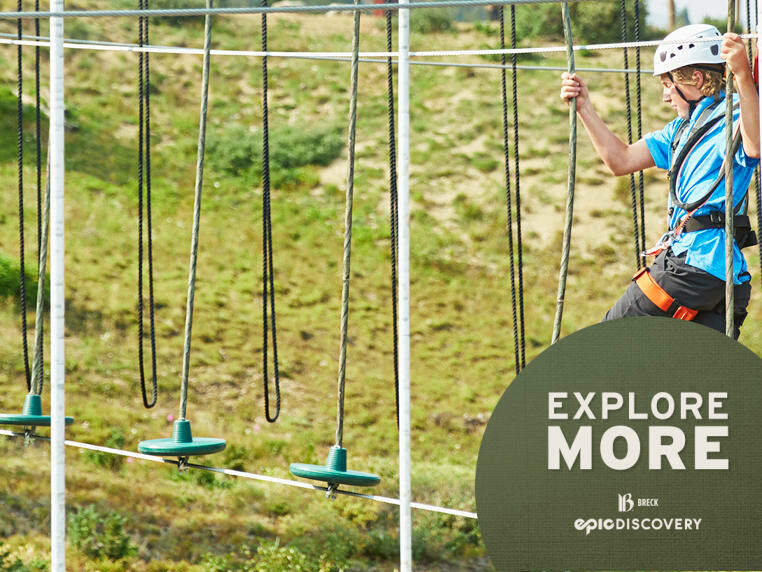 The Breck Flyer Zipline is not included in the Adventure Pass, it can be added on at the window for $10! Family Adventure Packs are only available for online purchase, cannot be purchased in person at the window. Epic Discovery is closed on this date. Please enter a new date or call (970) 453-5000.